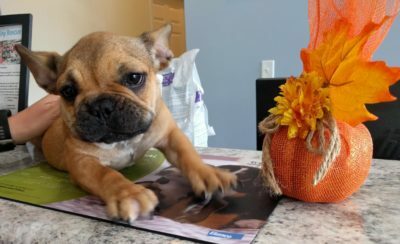 Our pet of the month for October is the adorable baby Maybelline! She loves to see US as much as we love to see HER! She has a cute French Bulldog brother named Curly who she adores!